Social Games Online Article - Virtual Worlds Land! Rate this Article There are lots of games that you can play and with the internet you can also meet lots of new people and make friends, in this article we bring you some amazing social virtual worlds. The best part about playing games online is the fact that there are a lot of social elements involved. You get to meet new people and do a lot of cool stuff together which naturally makes the game a lot more enjoyable than it usually would be. In this article we'll be covering 5 online social games that caught our eye. Before covering the games themselves, let's first discuss why they're so fun. Perhaps one of the main things that makes these games so enjoyable is the fact that there are tons of cool mini-games that you can play with your friends. Mini-games can be of both the casual and competitive type so there's a lot of variety as well. Another reason playing mini-games with each other is so worthwhile is that they often yield some pretty big incentives and rewards for the winner which is always nice. Exploration also becomes tons more fun when you have more people around you to share the experience with. Often times in these social games you have many methods of going around the world such as horse riding or sometimes even flying so you can tag along with your buddies and see the world in all its beauty. One can't talk about social games without bringing Second Life into the conversation. It's a phenomenal game that is packed with cool stuff to do be it playing mini-games, simply hanging out or using your flying abilities to go around the world with your pals. 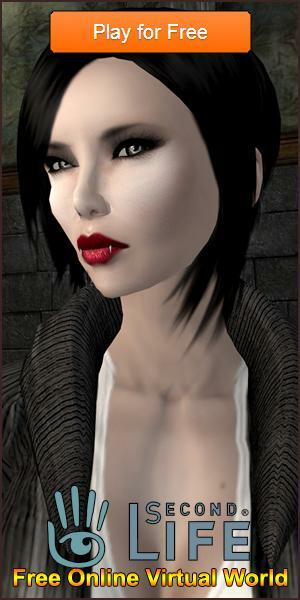 Second Life is a full-fledged game that provides a really awesome time for the social players. Although you won't be able to fly in Virtual Highway, there are still tons of other things that you can do. The game has clubs that you can be a part of and they're a great way to meet people with similar interests to yours. There are often parties and events that you can go to in order to have a nice time and socialize with others. The unique art style of YoVille isn't the only attraction it has to offer since it's a really enjoyable virtual world game in which you get to create a character and go off into a massive world full of new people to meet and friends to make. You can even decorate your own house and have people over for parties which is a great way to socialize. IMVU is an absolutely beautiful game that has without a doubt one of the biggest game worlds as compared to its competitions. A big game world comes with some great gameplay features as well as you get to create your own 3D avatar and interact with many people from around the world. You can even go out and explore the world with your friends on horseback which is tons of fun. ourWorld has a really unique look as compared to most games of this category which helps it stand out from the crowd. It's a game that's absolutely packed with social stuff to do such playing mini-games to win prizes, having cool parties and inviting everyone over or simply hanging out with friends in the many different hangout spots that look amazing. Overall, the games mentioned above are those that appealed to us the most and provided us with lots of fun and enjoyment. We recommend trying a few of them out to see for yourself all the cool things you can do.